I. How do I search for a product? For example if you need a television, you can search using the short form ‘tv’ since it’s the most commonly used and it will bring you all TV’s from different brands available on the website. But if you need a specific brand, search using the brand and keyword eg Skyworth tv. Click on ‘shop by category’ on the top left of the homepage to view the categories available on the website and the items under the categories. II. What should I do before placing an order? - Check the product information which includes the description, features, sizes and picture. - Check the product stock- Products that have stock usually have the ‘buy now option’ but those with no stock usually say ‘inventory shortage’. Our website will not allow you to place an order on an item that does not have stock unless it’s a pre-sale order and it will be clearly indicated. In case you place an item on cart for more than 3 hours, the product stock will be released and product can be ordered by another person. If you need more information, contact our customer care or chat online with us on our website. III. 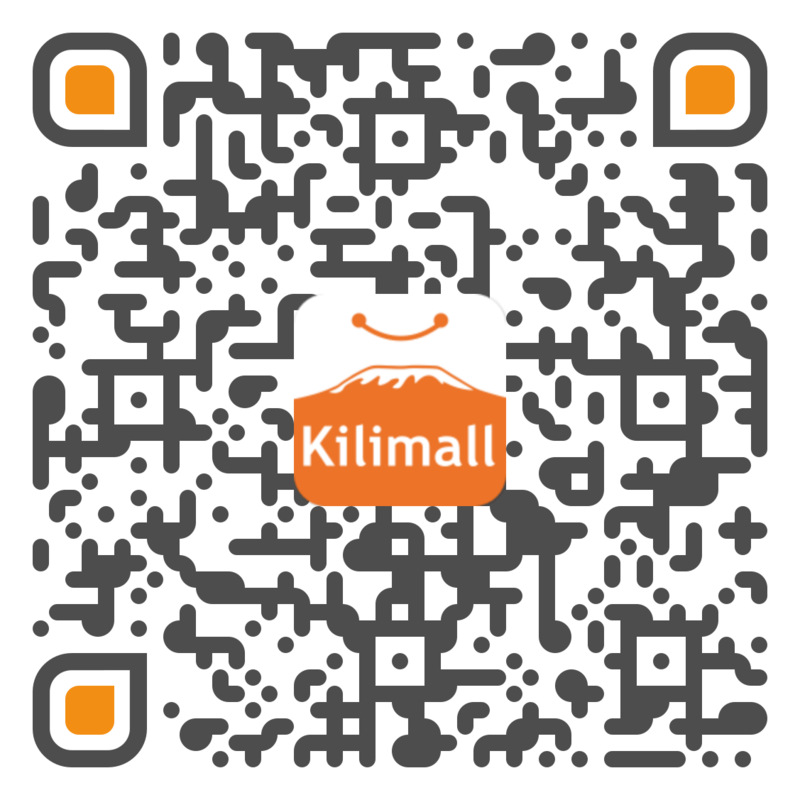 What order categories are there on Kilimall? i. Global order- an order of a product that is overseas, represented by an aeroplane icon and will need to be shipped to the country once you orders for them. Shipping takes 15-30 days and payment is always done in advance. ii. FBK (fulfilled by Kilimall) order – is an order of a product sold by local sellers and are stored in Kilimall Warehouse and fulfilled by Kilimall. Fulfillment in Nairobi takes 1-5 days countrywide. Orders within Nairobi may support pay on delivery depending on the sellers preference but those outside Nairobi, you must pay for in advance. iii. Drop Shipping order -is an order with a product that belongs to a local seller and are fulfilled by the seller. IV. How do I place my order? Note that cart as used on our website means your shopping basket, it will show the items you intend to buy and keep this information for 12 hours for you to place an order. Step 1: Click on the image of the product you would like to purchase. Step 2: Click on the ‘BUY NOW’ tab. Step 4: After you are done shopping click on ‘My Cart’ icon that’s on the right top side of the page next to ‘my account’ and Select Proceed to Checkout. Step 5: On The Login Dialog Box that appears Log in or register if you are a new customer by clicking ‘register’. Step 6: If this is your first time shopping on Kilimall, click on add new address and fill in your details and ensure that the phone number added is active and you provide the full names as is in the ID or Passport. In case you want someone else to collect the package on your behalf, use their name and phone number. Step 7: Select pay on delivery or online payment depending on the viable option as per the products that have been ordered. Step 8: (Optional) you can leave a remark especially if you want someone else to collect the order on your behalf or you want it delivered after a specific period of time. Customer care will call you to confirm the information. Step 9: Confirm the value of the order which includes price of the product as well as delivery fee and Click on Submit Order. You will get a congratulatory message for an order successfully placed on the mobile number used in the address. V. What do I do when I receive the order? Identification- The first thing that you should do once the package arrives is to identify yourself as the buyer by providing your ID or passport for identification. The name should match that on the order address. In case you cannot collect the package yourself, ensure you inform us to add the new consignees name or add it to the address. Package Inspection- Next, you should inspect the outer package and ensure that it is not tampered with or opened. If it has traces of tampering, give it back to the delivery person and request for an exchange or refund which will be done within the refund timelines. - Check the specifications of the product and compare with those on the website. Once you are satisfied with the package, the delivery person will leave but in case of a problem, ask the rider to take back the item for after sale service. (refer to the after sale page). If you open the package at home and find an issue, ensure you send a photo to us within 6 hours of delivery to aftersale@kilimall.com for validation purposes. You should then call us and be properly advised. Signing- After confirming the package content without breaking any seals, sign and pay for the package if it was a pay on delivery order. However, if you had already paid online, just sign for it and do not pay any extra amount.